The awards recognise excellence in smart metering and acknowledge companies playing a defining role in moving the industry forward. Telenor Connexion customer OnStream won both “Metering Manufacturer & Technology of the Year Award” and “Innovation of the Year Award” for their connected Smart Meters. The European Smart Metering Awards, which takes place in connection with the Smart Metering UK & Europe Summit, recognises achievements and innovation from utilities and technology providers involved in the European Smart Metering roll-out. National Grid company and Telenor Connexion customer OnStream was nominated for both, “Metering Manufacturer & Technology of the Year” and “Innovation of the Year”, for its connected Smart Meters and won both awards. Telenor Connexion has been working alongside OnStream for over 18 months, providing the connectivity for the new OnStream Smart Meters. The unique solution designed by Telenor Connexion allows each meter to connect to any UK mobile network without network bias, ensuring the highest quality of connectivity for the solution. OnStream’s mobile communications-based meters use low levels of electricity, enabling low levels of power consumption. The meters also include the ability to accommodate communication with smart appliances as they become more widely available, leading to the formation of the Smart Grid. − Congratulations to OnStream and all of the other partners involved in the delivery of this top quality solution, that is sure to play a major part over the coming years of smart metering deployment in the UK, says Dean Woods, Head of Region UK & Ireland at Telenor Connexion. − We are delighted to win these awards. Not only do they recognise the hard work we have put into our product development, but are also confirmation from the industry that OnStream is seen to have the leading smart products and are at the forefront of driving forward innovative solutions to support the wider industry smart roll out, says Keith Hawkins, Strategy & Smart Development Manager at OnStream. All award entries were assessed and judged upon by an independent panel of industry experts. 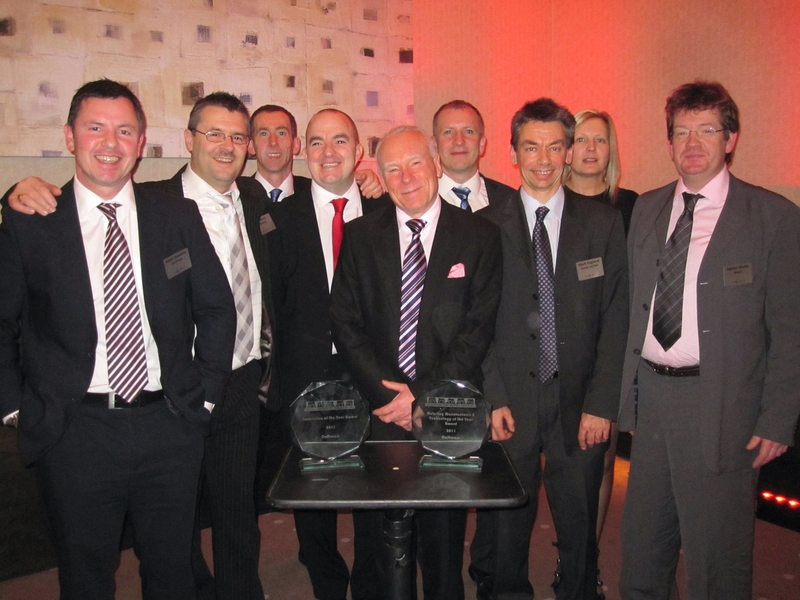 The awards were presented on January 27th at an exclusive gala dinner at the Smart Metering UK & Europe Summit in London, UK. OnStream offers smart metering services aimed at improving service provision and reducing environmental impact. The company provides a flexible and professional range of meter management services to UK energy suppliers. To date, OnStream has installed in excess of two million gas meters and one million electricity meters. OnStream is a National Grid company, one of the largest investor-owned energy companies in the world. National Grid plays a vital role in providing energy to millions of customers across Great Britain and the Northeast US in an efficient, reliable and safe manner.